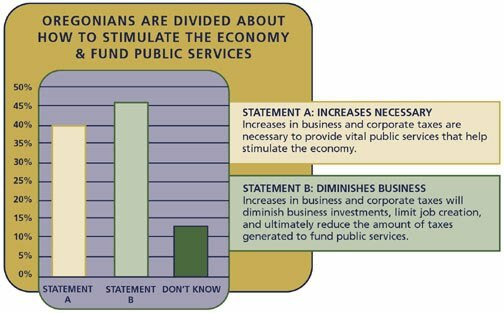 Oregon's public finance system changed during the 1990s. Voters passed several ballot measures limiting revenue options while shifting school funding to the state. The recent recession exposed the volatility of Oregon's revenue system and created enormous challenges for funding services. 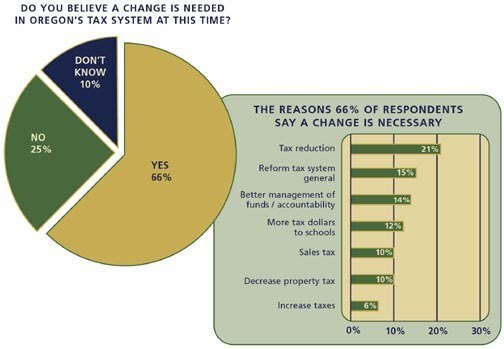 While the majority of Oregonians believe a change in the tax system is necessary, there are wide opinions on what that change should be. "I'm not really affected by many government services. I'm not very involved in it and I don't pay much attention to it."